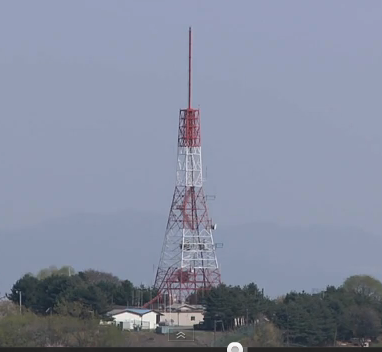 Voice of Korea, the DPRK’s international shortwave radio broadcaster, is still having technical problems that result in entire broadcasts failing to make it on-air. The problems began just over a month ago when some Voice of Korea broadcasts failed to appear at their scheduled times. Now, a month later, the broadcaster is still failing to match its schedule. Today, on March 27, some of the scheduled transmissions were heard but others were missing. Here’s a clip from a broadcast on March 20 when, midway through a piece of music the transmitter suddenly goes off air. It was due to remain on air for several additional hours and did not return that day. The problems have also hit the DPRK’s radio jamming operations, which attempt to block Korean-language foreign radio reception by broadcasting strong noise on the same frequency. The most severe jamming is usually targeted at “Echo of Hope” and “Voice of the People,” two stations that are believed to be broadcast by the South Korean government. The stations are on the air each day from 1:50pm local time until 8am the next morning. The DPRK’s jamming typically covers their broadcasts from around 3:50pm each day until the end of programming the next morning. On March 21, the jamming came on as scheduled at 3:50pm but then stopped during the evening. One set of jamming transmitters ceased at 6:38pm, another at 7pm and a third set at 10:27pm, according to a radio monitoring report from Japan. That left the South Korean broadcasts in the clear for several hours. The jamming resumed on all frequencies at 11:30pm in the evening. Here’s another recording, not quite as good as the first, that shows the jamming transmitter going off air. It was recorded in February, close to when the problems began. The signal suddenly clears up at about the :10 second mark when the jamming stops. The difference to anyone listening in North Korea would probably have been more dramatic than this recording, which was made via a listening post in Japan. It’s worth noting that the DPRK’s shortwave transmitters carrying the domestic service, largely for listeners in the country, have not been hit by such problems. The problems could be technical in nature, perhaps related to faulty equipment, or due to an electricity shortage.